CNN Top Ten Hero Susan Burton is drawing in star power for the “Catching Falling Stars” 2011 Fundraising Gala. 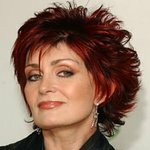 Sharon Osbourne, Jason Isaacs and Charlotte Ross, V-Day, Reelz Channel and more are joining together to support Susan Burton’s charity, A New Way of Life Reentry Project (ANWOL). The charity’s mission will be celebrated, and special awards presented to four honorees at the star-studded fundraising gala, to be held at the Universal Sheraton, Universal City, CA, November 17, 2011. A red carpet VIP reception will kick off the night at 6:30pm followed by silent auction and general reception at 7:30pm. Dinner, awards presentations, and a special performance by Chuck Negron, formerly of Three Dog Night are from 8:15-10:30pm. Founded by Burton after she spent two decades entrapped in the criminal justice system before finding freedom and sobriety in 1997, the non-profit organization has to date helped transform the lives of over 600 formerly incarcerated women and their children. For these efforts, Burton received the coveted CNN Top Ten Hero award in 2010. The evening of love, strength and hope will feature Sharon Osborne (America’s Got Talent) making a special video presentation of the Synergy Teamwork Award to Vinny Green and the children of the Wilshire Boulevard Temple School. The children, inspired by Ms. Green’s encouragement to serve through the Jewish tradition of “Tzedakah,” meaning “Charity” or “Righteousness,” collect their nickels and dimes throughout the year and donate them to a woman resident of A New Way of Life as an educational scholarship. COMMUNITY PARTNER AWARD: Nina Gray, President & CEO of Dental Plus, California: Dr. Gray has provided free dental services to ANWOL’s women residents – women whose minds, bodies and spirits were once ravaged by the disease of addiction, but who now have so many reasons to smile. LIFETIME COMMITMENT AWARD: Mark Ridley Thomas, Los Angeles County, Second District Supervisor: The Honorable Mark Ridley-Thomas has been a life-long champion for the South Los Angeles community, and a fearless advocate for the Second District’s nearly 2.3 million residents. COMMUNITY CHAMPION AWARD: Kimberle Crenshaw, UCLA Law School Professor: Professor Crenshaw’s groundbreaking scholarship integrates theory and practice to address issues facing women of color. Her “learning circles” on race, gender, and reentry demonstrate the critical need for gender-responsive reentry policies, and she actively supports community advocates committed to ending discrimination against people with criminal records. The Honorary Committee include: Tim Daly (Private Practice), Kathryn Joosten (Desperate Housewives), Cheech Marin (Grindhouse), Robert Morse (Mad Men), Mike O’Malley, Terrell Owens (The T.O. Show), Raven Symone (State of Georgia) Constantine Maroulis (Rock of Ages), and Sheryl Lee Ralph (Moesha).